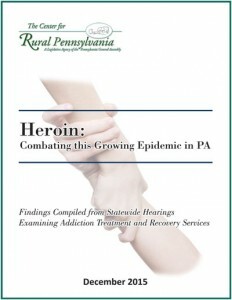 The Center for Rural Pennsylvania held public hearings to examine and discuss current policies and practices related to heroin and opioid addiction, including prevention, treatment and law enforcement efforts. In Pennsylvania, the number of fatal heroin overdoses has been steadily increasing. 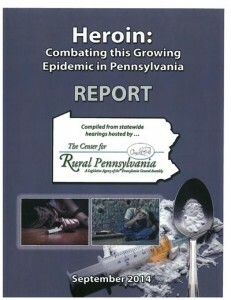 According to a 2014 report from the Pennsylvania State Coroners Association, there were 45 reported heroin deaths in 2009 and 124 reported heroin deaths by mid-2013. Other states across the nation are reporting an increase in heroin use as addicts are shifting from more costly prescription opioids to cheaper alternatives. Three primary themes repeatedly mentioned during the hearings included: educating individuals to the dangers of opioid abuse; increasing the accessibility and availability for those seeking treatment; and providing law enforcement with the tools to help eradicate heroin from our communities. To learn more click here. The Pennsylvania Cable Network (PCN) is airing three nights of FREE programs on opioid addiction and treatment with original programs and public affairs presentations. 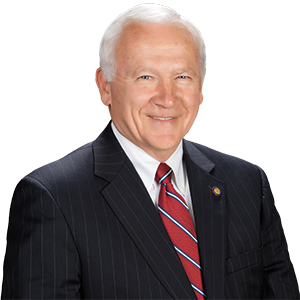 Senator Yaw will join PCN host Francine Shertzer for “On The Issues,” a program that gives viewers a deeper understanding of topics being debated by lawmakers at the Capitol. Watch on cable, the PCN App, or online at pcntv.com/opioids. All programs will be available to watch on demand. Visit pcntv.com/opioids to see the schedule. 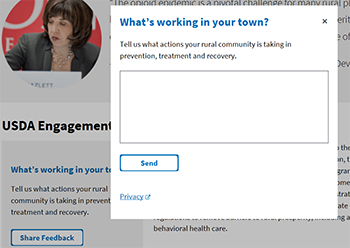 WASHINGTON, June 14, 2018 – Assistant to the Secretary for Rural Development Anne Hazlett today unveiled a new interactive feature on the United States Department of Agriculture’s (USDA) rural opioid misuse webpage. Now webpage visitors can use an interactive map to learn about, access or replicate actions rural leaders are taking in small towns across the country to address the opioid epidemic through prevention, treatment and recovery opportunities. 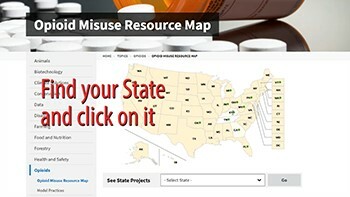 The interactive map can be viewed at https://www.usda.gov/topics/opioids/resources-map. 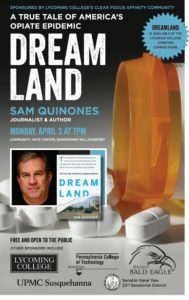 Sam Quinones, a former Los Angeles-based journalist, will share the insights he gained while writing his book “Dreamland: The True Tale of America’s Opiate Epidemic” during a presentation on April 3 at 7 p.m. at the Community Arts Center in downtown Williamsport. The presentation is free and open to the public. Quinones will discuss the development and writing of his book, which traces the emergence and social impacts of the national crisis of opioid and heroin abuse. His stories center around the fall and rise of Portsmouth, Ohio, as the backdrop to weave together two riveting tales of capitalism run amok: the unfettered prescription of addictive pain medications during the 1990s and the influx of black tar heroin. Click here or image to listen to the discussion. Senator Aument hosts a discussion on the growing heroin and opioid epidemic in Lancaster County and across the state. Senator Gene Yaw talks with Cambria County Senator John Wozniak about upcoming hearings through The Center for Rural Pennsylvania on the rise of heroin and other opioid use in Pennsylvania. 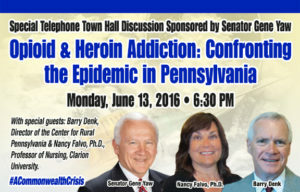 Senator Gene Yaw talks with Barry Denk, Executive Director of the Center for Rural Pennsylvania about upcoming hearings through the Center on the rise of heroin and other opioid use in Pennsylvania. Please contact the Center for Rural Pennsylvania at (717) 787-9555 to RSVP or for more information. You may also RSVP via email at info@rural.palegislature.us.